Sometimes people need a little extra support to ensure they can live safely and securely. 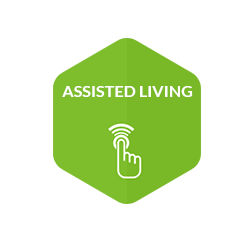 Our smart home technology empowers older and vulnerable people by supporting them in their daily routine, fostering an independent and safe environment. 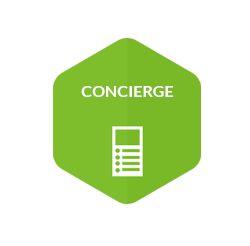 Centrally-placed concierge systems free up resources and open up more opportunities for additional services such as alarm management, system usage reports, tailored to suit individual needs. Our software-based CPS enables housing providers to combine door entry, access control and messaging into one Concierge. Secure access to a building is paramount for older and vulnerable people to avoid unwanted guests, cold callers or theft. The Green Access IP door entry system is a standalone entity that allows visitors to call a flat through an entrance panel at the main door. For residents and staff working or living in a secure development, secure 24/7 building access is critical. With our Access Control system, residents or staff can use a range of key fobs or cards to gain entry into a building, without additional requirements such as access granted from the inside.